We’re proud to have served thousands of online customers from over 30 countries around the world. Here are some examples of the positive feedback we have received. ☆ The quizzes were useful to apply knowledge gained. ☆ The course content was excellent and gave full details of all the aspects I hoped it would cover. ☆ Thank you very much. I have found the courses enjoyable and will do my CPD training with you. ☆ Professional. My full support. ☆ This is my first year of CPD and I was a bit confused by all the different courses available. I found your website the simplest to understand to get the information from that I needed. 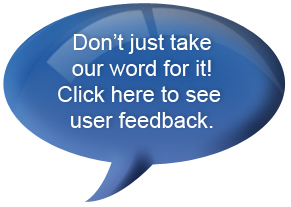 ☆ Excellent – very efficient provision, and excellent personal followup from the company. ☆ Very easy to use. The learning for me was very beneficial – especially online. I will use again. ☆ I will definitely be using Financial Fluency to complete my CPD requirements for the year. ☆ Helped me identify areas and ways of improving the budget setting process in my organisation and how to make the reporting aspect more useful and informative. Short and easy to read points on budgeting. The case studies helped break up the theory and tested your knowledge of the topic. You could complete a certain area of the course and then come back to it in your own time. Loved this flexibility. Would definitely recommend the course to a colleague/friend. ☆ I thought that this was very informative and effective as this is the first time I have used online training. ☆ A very good course. I like the structure, instant feedback, self testing etc. ☆ I must say I am finding the course material excellent, well written and structured. Very enjoyable and informative. I would venture to suggest a must for all accountants or for that matter anyone engaged in business. ☆ Simple and straightforward, well understanding. I found the information helpful. ☆ As this was the first time I did an online course I found it intense but at the same time it was very knowledgeable and I liked the quizzes after each section. It helped you to learn and to think about the answers you gave. ☆ I really enjoyed this programme and I have learnt important things at a strategic level which I will apply in my day to day at the workplace and help me to solve different tasks and risk at a strategic level. I really enjoyed it. ☆ That is an excellent approach and I must say it has given me a lot of understanding about how funds are used. ☆ User friendly and not complicated. I liked the suggestions. ☆ I was a bit sceptical about doing a team leading course online. However contrary to this I found the course brilliant, very very useful with alot of learning opportunity for me as I have never done a course like this before. I particulary enjoyed the course content which was precise and to the point with educational information which I can actually apply to my organisation and I think it will assist me greatly. To purchase a course or to try a free module please register.